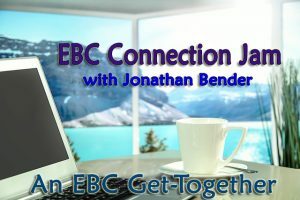 Join Jonathan Bender in a relaxed Zoom call where you can connect with other EBC and EBI members, either in a group or in a small breakout! Please be on time for the call, so that everyone receives maximum value from being on the call. It’s essential that you’re fully present for the call, just like a normal mastermind group meeting.